This month, I am writing a series of blog posts on social media and your business. Twitter is useful for networking with other professionals and businesses as well as customers. Advertising with Twitter may also drive more traffic to your business' website. Twitter makes communicating with customers easy. Networking Twitter makes it easy to network with other professionals, people with similar interests, and more. 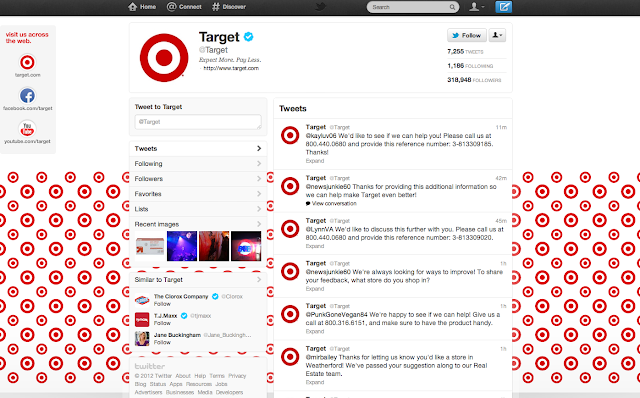 By following them, you subscribe to their updates, which will show up on your Twitter homepage. 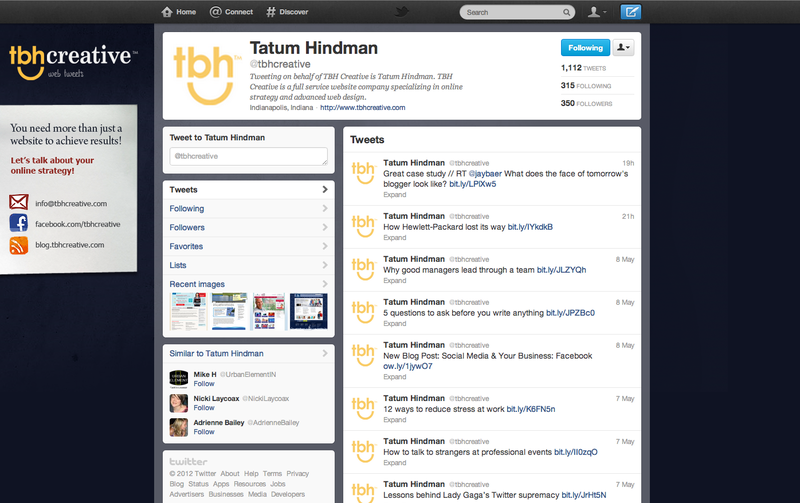 Keeping up with competitors With Twitter, it is easy to follow competitors and find out what they are doing. Scheduling updates It's easy to schedule updates to go out on certain days at certain times using free services like HootSuite and TweetDeck. These services make it easy to send tweets at different times of the day so that you can reach a variety of audiences. Spammers There are a lot of spammers on other social media sites, and when using Twitter, you'll notice spammers quickly. Though Twitter works to remove spammers, sometimes they may be around longer than you would prefer. As a business user your best bet is to ignore their noise and spend your time focusing on your core audience. TBH Creative uses Twitter to display recent client work as well as network with other web professionals. Twitter makes it easy to share inspiration, thoughts, and ideas with a large group of people. Target uses Twitter to advertise sales, talk to customers, and discuss new events. Twitter makes it easy to reply to customer complaints, suggestions, and compliments. Twitter is a great way to bring traffic to your website and respond quickly to customers. TBH Creative can help you create a social media strategy for your business as well as help your business gain the competitive advantage.